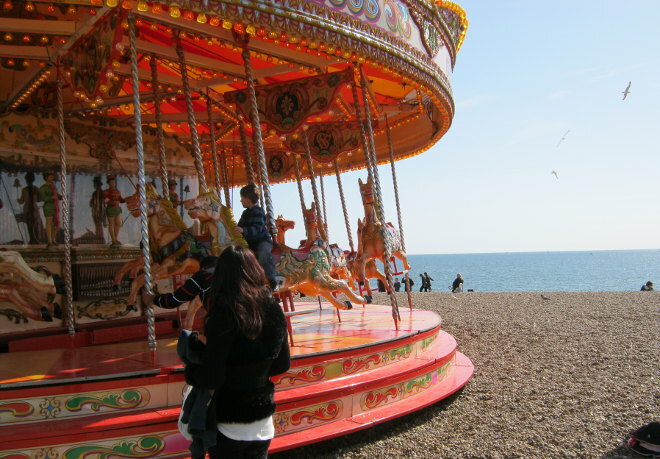 Few things shout summer like a traditional seaside MerryGoRound. The blaze of colour and eerie nostalgic music, promises kept or broken, first snogs, first betrayals, or simply the dizzy pleasure of being whirled round and around as seagulls scream. Use this setting as your starting point.